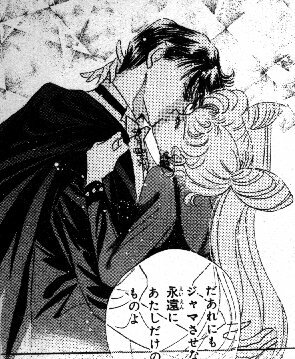 We can no longer afford the frequent insulin injections required when watching Sailor Moon R and later episodes. As well, some of us are squeamish about needles. We object, on an aesthetic level, to the colour "pastel pink". Especially when it clashes with glinting red eyes. Glinting red eyes are evil. Chibi-Usa is a nuisance in battle, constantly forcing other Scouts to protect her. "Pink Sugar Heart Attack", in addition to causing the aforementioned insulin expenses, is also highly ineffective. She cannot sing, and should not be allowed to try.